Room was nice with a great view. Deck floor a little soft. #7 bathroom heater didn't work. #7 had damp stinky laundry in dryer. #6&7 had very slippery, unsafe mats inside door. It was very clean and nicely stocked. Location perfect. Overall it was great and we would probably stay again. Where to find Ocean Shores hotels near an airport? Where can I find hotels in Ocean Shores that are near tourist attractions? Staying in Ocean Shores? 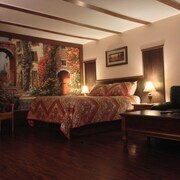 There's a number of lodgings from which you can choose. Spend some time checking out our 20 hotel listings, all of which can be found within a 0.1-kilometre (0.06-mile) radius of Ocean Shores' center. 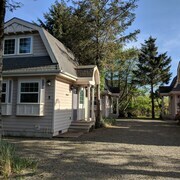 Booking convenient accommodation close to the inner-city sights and action of Ocean Shores is just a couple of mouse clicks away. Expedia's booking page lists the Judith Ann Inn and The Grey Gull, which are located within a 1-kilometre (0.6-mile) radius of the city center. 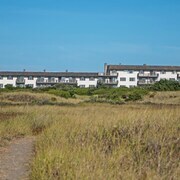 Ocean Shores features a number of budget accommodation options that will be sure to delight thrifty vacationers and travelers. 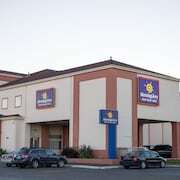 0.4 kilometres (0.3 miles) away from Ocean Shores' center is the MorningGlory Hotel, Resort & Suites. The Quality Inn Ocean Shores is only 0.5 kilometres (0.3 miles) away. The Days Inn Ocean Shores and the Quinault Sweet Grass Hotel are two alternative affordable places worth checking out. 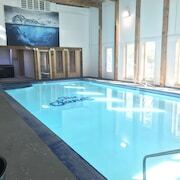 You could also check out the The Canterbury Inn and the Quinault Beach Resort. The The Canterbury Inn is situated 0.6 kilometres (0.4 miles) from downtown Ocean Shores. The Quinault Beach Resort, is situated 3 kilometres (2 miles) away. The Best Western Lighthouse Suites Inn and the Shilo Inn Suites Hotel - Ocean Shores are other alternative accommodation options worth checking out around Ocean Shores. Interested in seeing even more of the beaches and forests this area features? Why don't you plan some extra time in some of the other destinations in Washington Coast? Spend your time hiking and quad biking or see the region's attractions. Comfortable hotel options are available. The closest hotels in Aberdeen are Westport and Westport. Westport is 14 kilometres (9 miles) to the south of Ocean Shores, while Westport is 14 kilometres (9 miles) to the south. Hotels in Westport include the Chateau Westport and Harbor Resort. The Westport Inn and Ocean Avenue Inn are amongst the hotels in Westport. Before you head home from Aberdeen, make sure you experience some sport. Visit Skippers Equestrian Center to the south of Ocean Shores. Those wishing to sleep close by can choose from the Adrift Hotel or the Best Western Long Beach Inn. 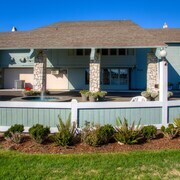 Our travel listing is also a great way to learn more about Ocean Shores. 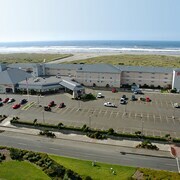 What are the most popular Ocean Shores hotels? Are there hotels in other cities near Ocean Shores? 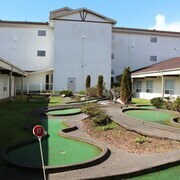 What other types of accommodations are available in Ocean Shores? Explore Ocean Shores with Expedia.ca’s Travel Guides to find the best flights, cars, holiday packages and more!